Is Google's Ad-Blocking Plan Good or Evil? 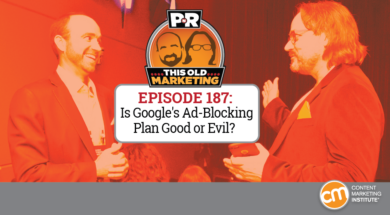 This Week in Content Marketing: Is Google’s Ad-Blocking Plan Good or Evil? Robert ponders finding meaning in the absurdities of our lives. On the news front, we debate whether Google’s new ad-blocking plan is a heaven-sent digital experience or a play that’s hell-bent on keeping the company’s monopoly in place? We also discuss the craft brewing industry’s fury over Anheuser-Busch’s purchase of an indie community forum. Our rants and raves include authenticity and licensing revenue; then we close the show with an example of the week from McKinsey Quarterly. (09:07): A bonus offer from our episode sponsor, VideoBlocks: VideoBlocks is an affordable, subscription-based stock media site that gives you unlimited access to premium stock footage. Its sister site, AudioBlocks, has a 100,000+ library of music tracks, sound effects, and loops to complement your videos.VideoBlocks has one of the fastest-growing, largest stock video libraries, with over 3 million videos, After Effects templates, and motion backgrounds. This includes its contributor marketplace that gives 100% of the commission back to the artists and passes the savings on to you! 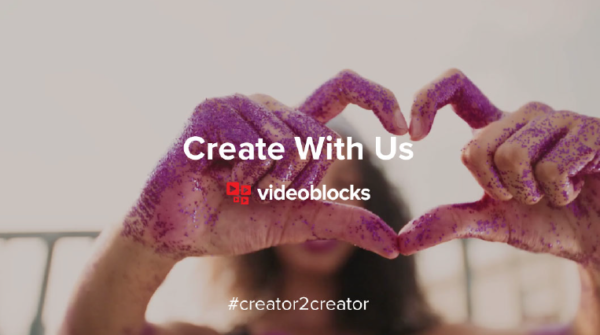 This month, VideoBlocks is launching its latest collection: Creator to Creator. With more than 1,000 artistic and creative lifestyle clips to choose from, VideoBlocks is featuring videos and music from creators just like you for your next project. 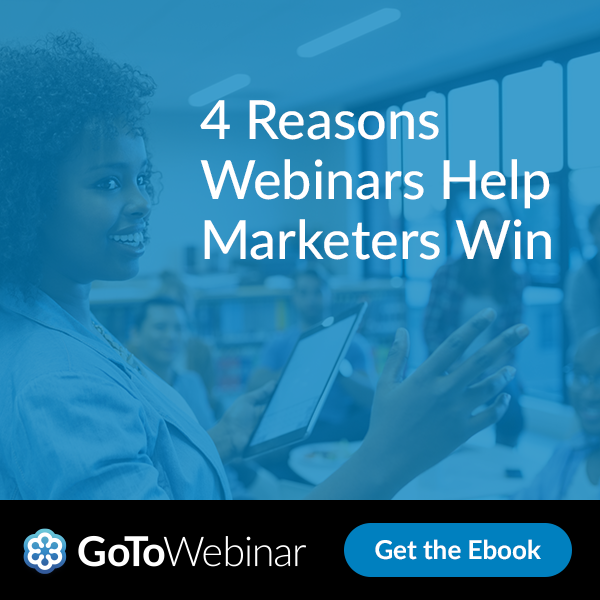 And don’t forget: Downloads are yours forever, even after your trial ends, and are 100% royalty free. Sign up now for our two-for-one deal: You’ll get AudioBlocks for free when you sign up for your $149 VideoBlocks subscription today. That’s a $100 discount on unlimited downloads of both video and audio clips, available only to PNR listeners. (44:06): Joe’s rave: If you are a fan of storytelling and creative design, the Cincinnati Science Museum’s new Star Wars costume exhibit is a must-see. 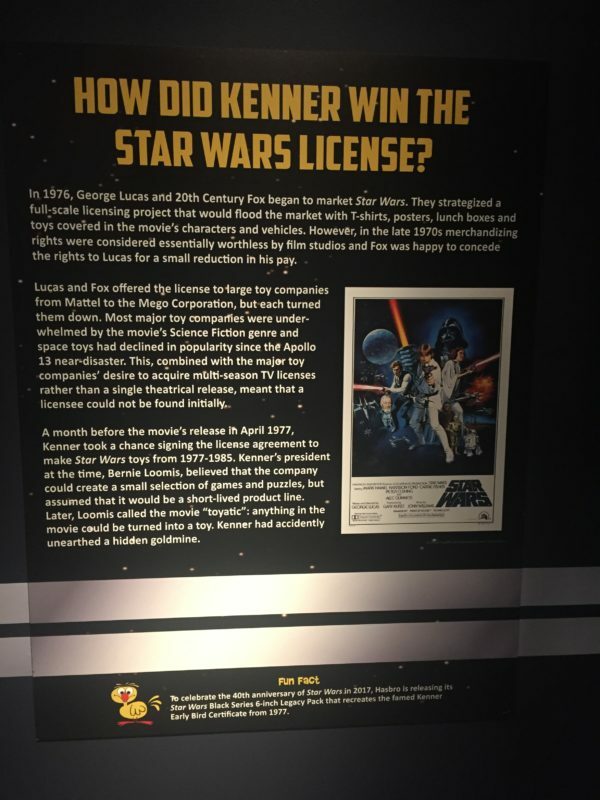 But it’s the illustrated history of action-figure innovator Kenner’s role in merchandising the franchise that I found to be truly out of this world. (51:40): McKinsey has long been renowned as a global leader when it comes to helping top executives stay at the cutting edge of business and economic trends. Upon a recent exploration of the company, Robert discovered that it has been producing its landmark publication, McKinsey Quarterly, since 1964. Featuring articles written by a pool of top management consultants, as well as other notable marketing experts, McKinsey Quarterly had earned a reputation as being somewhat elitist and esoteric; however, Robert has found that, over the last several years, the company is coming down from its ivory tower to provide more practical, pragmatic insights and advice, making it a This Old Marketing example that content marketers at any level can benefit from.